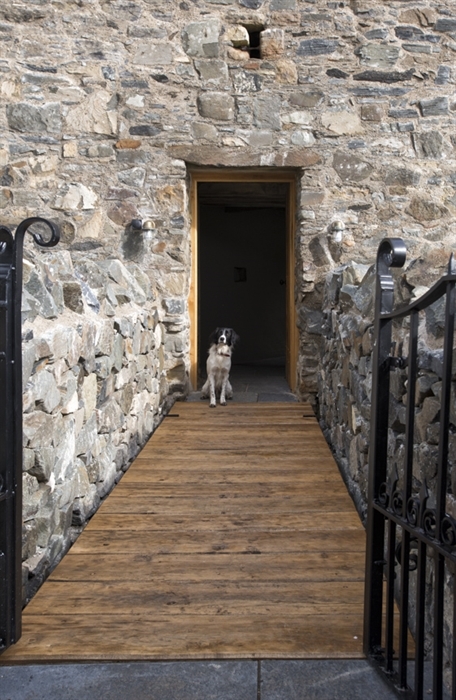 Mingary castle has been painstakingly renovated by a team of highly skilled craftsmen, who have made good the crumbling stonework and long lost roofs, so once again it can provide guests with the finest of Highland hospitality. 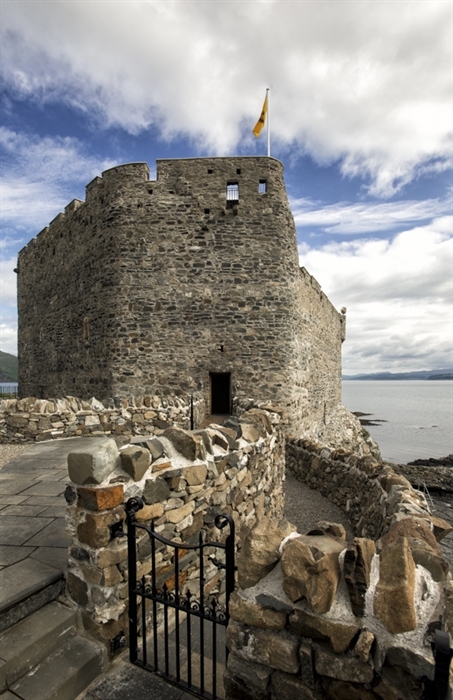 The abandoned ruin of Mingary castle has been painstakingly renovated by a team of highly skilled craftsmen, who have made good the crumbling stonework, long lost roofs and floors buried deep in undergrowth, so once again Mingary can provide its guests with the finest of Highland hospitality. 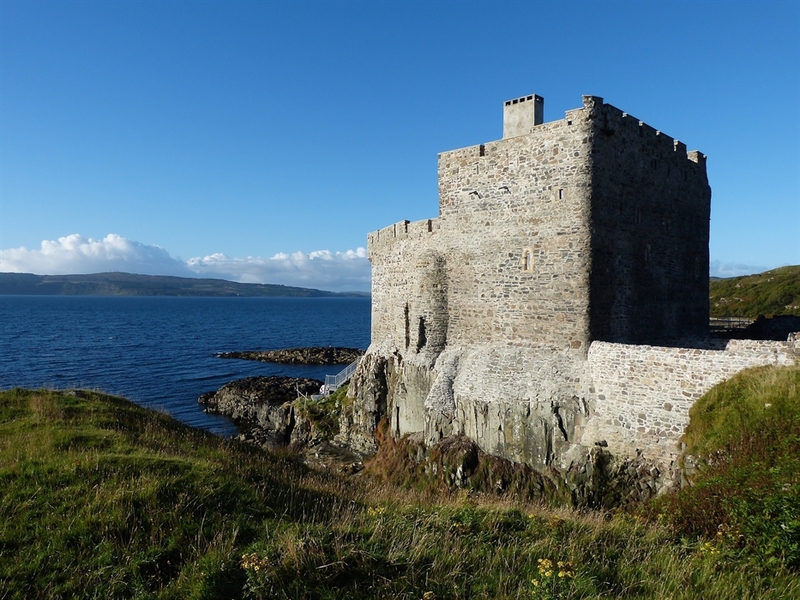 The seat of Clan MacIain for over 300 years, Mingary Castle is situated on the Ardnamurchan peninsula near Kilchoan. This hidden gem on the west coast of Scotland is not only steeped in history but also has stunning scenery and breath taking wildlife to offer. 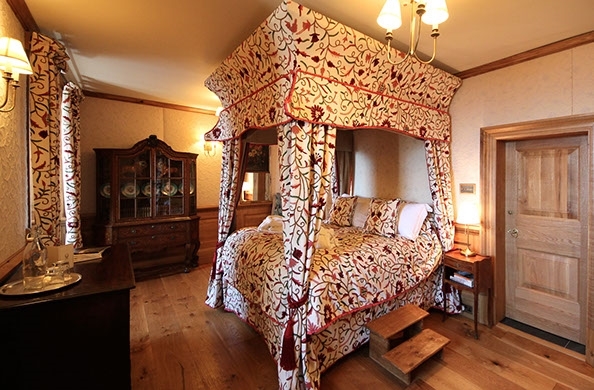 The MacDougall is situated on the 2nd Floor of the North Range; it contains a double sized 4-poster bed, hand sewn crewel fabric lined walls and antique furniture. 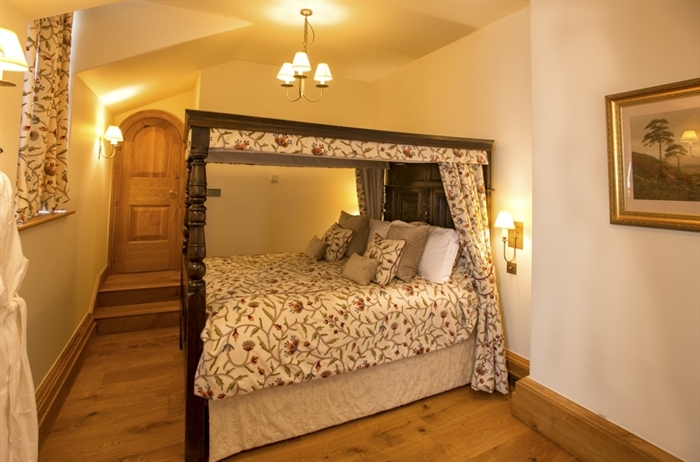 Though the smaller of the bedrooms on this floor the en-suite bathroom more than makes up for this; it is contained between the castle walls, with a beautiful roll top copper bath from William Holland for your relaxation, a walk in shower and arrow slot windows looking over the garden. 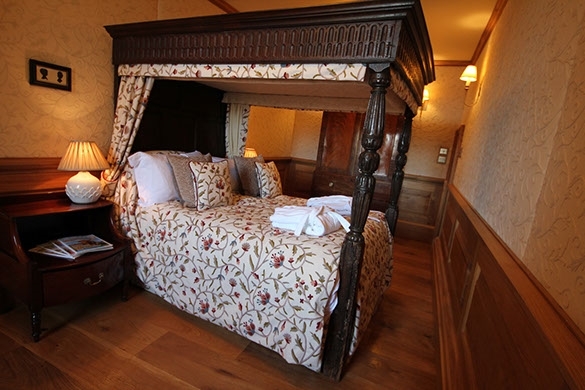 The MacIain is situated on the 2nd Floor of the North Range; it has a super-king sized antique 4-poster bed, its own dressing room and half height oak panelling with hand sewn crewel fabric above. 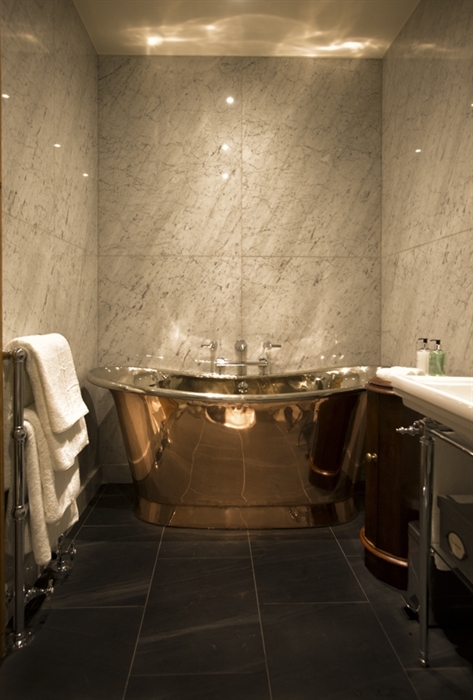 The en-suite bathroom is lined with Italian marble and there is a beautiful roll top copper bath from William Holland for your relaxation and a walk in shower. 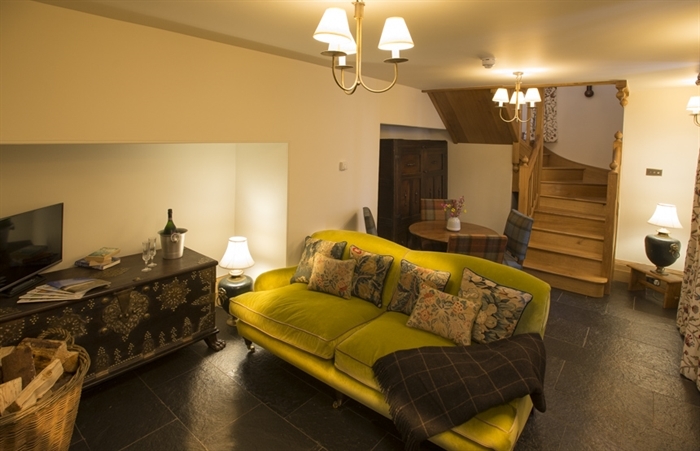 The McCain Suite is a family and friends suite and is located on the 3rd floor on the North Range and consists of two rooms with views over the Sound of Mull toward Tobermory. 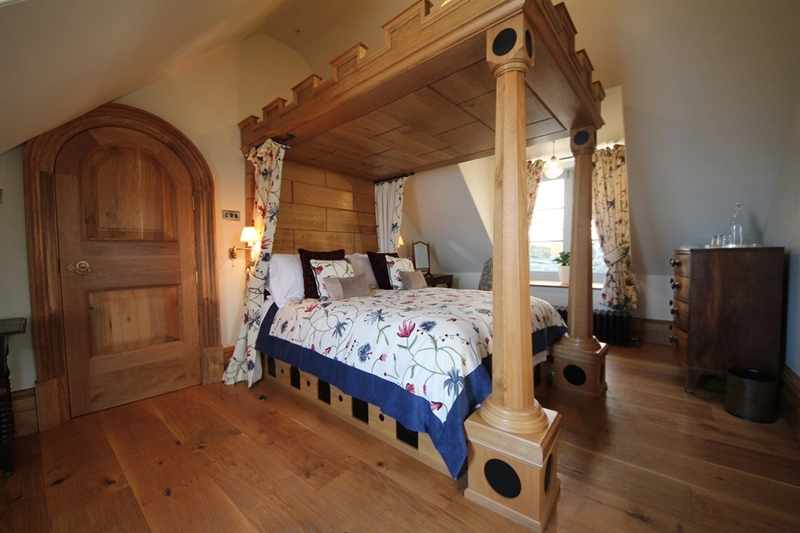 They have king size 4-poster beds which have been designed by the architect Shaw & Jagger. 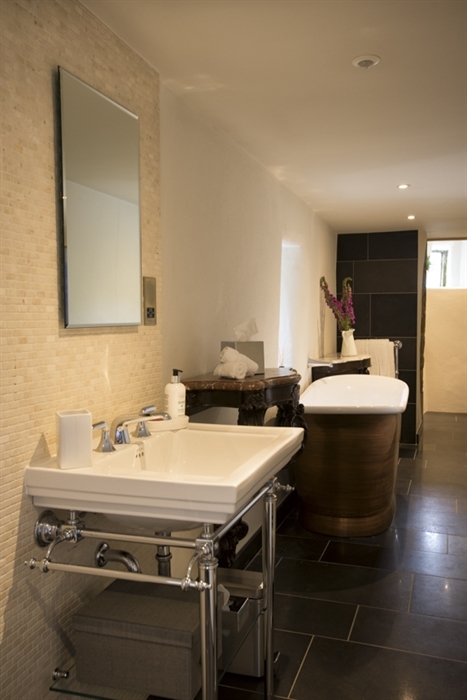 The family bathroom is lined in Italian marble and there is also access to the battlement walkway from your very own door. 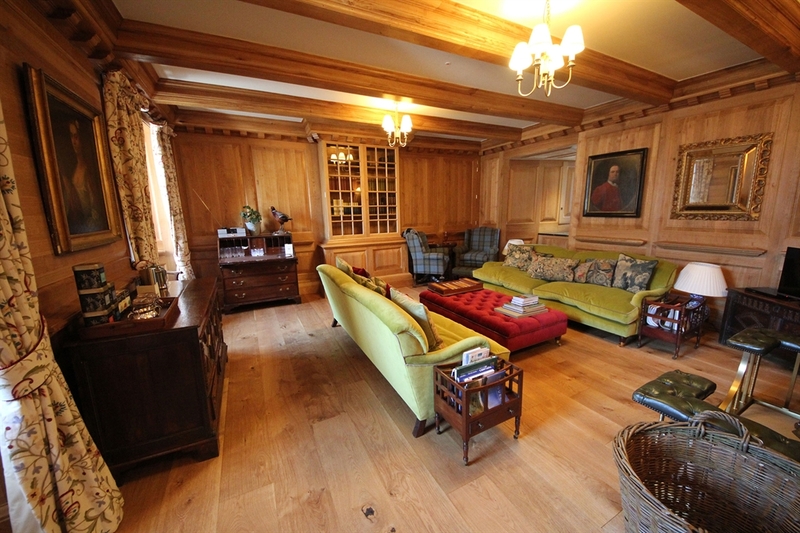 The MacDonald Suite is a self-contained apartment in the West Range of the castle with its own front door. 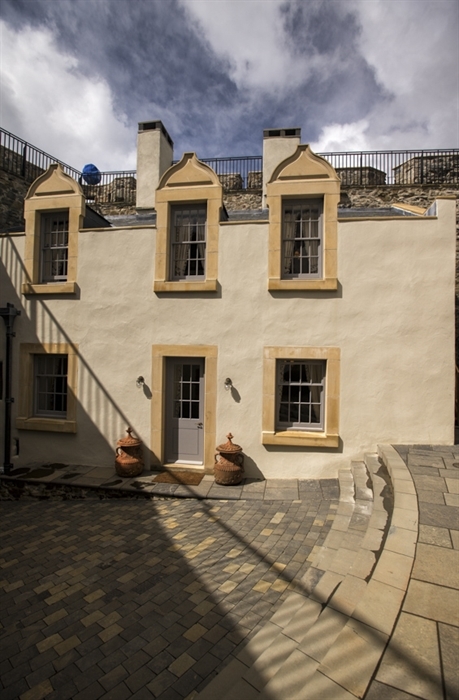 It is accessed through the main courtyard and on the ground floor its living room has an exposed stone fireplace with wood burning stove. Going up the beautiful carved staircase there is a 1st floor bedroom with a super-king sized antique 4-poster bed and its own en-suite with an over the bath shower. on the number in residence. 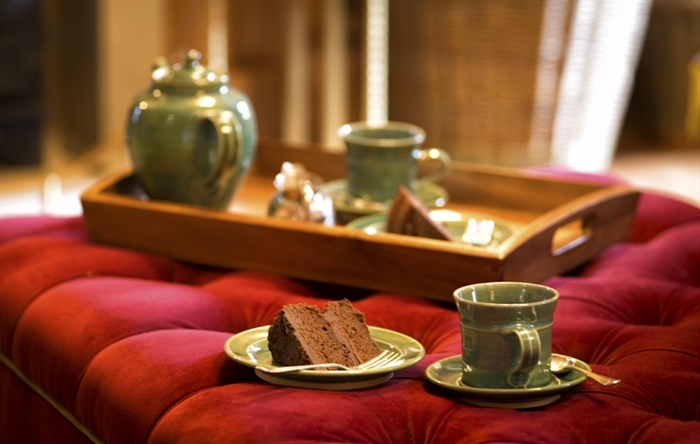 Lunches are a flexible affair at Mingary Castle. We can pack you a delicious picnic to take out for a day on Sanna beach or serve lunch in the castle so you can sit by the fire all day to read your book. Alternatively you can pop over to Mull on the ferry for lunch in one of the many great eateries in Tobermory. £25 pppn. Opt for a glass of wine or why not try one of our local gin's or whisky's. Following these you will be asked to take your place at the dining table where you will join the other castle guests for a 10 course tasting menu you shall never forget. Other options are available for non banquet guests.